What do Namibia, Switzerland and France have in common, besides being great road trip destinations? One word: Hertz. It’s true that some destinations are just meant to be explored by car. 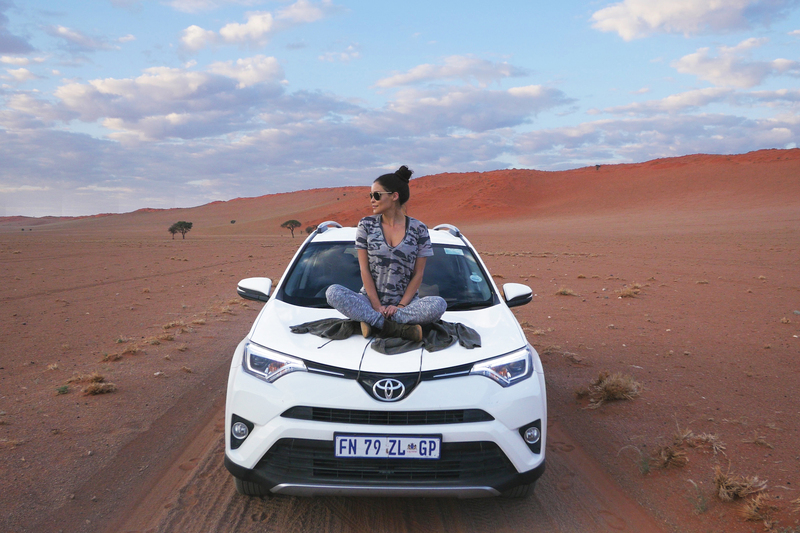 This year I had the pleasure to travel to three such ‘road trip-worthy’ destinations – Namibia, Switzerland and Provence, France. Without hesitation, I chose Hertz as my company of choice for renting a car. Their high level of service and selection of cars has never steered me wrong. In fact, as a Hertz Platinum member, the car is always waiting for me when I arrive at the airport. No long lines, and I often get upgraded to a premium car. Not only is Hertz “here to get you there,” they get you to your location stress-free and in style! What makes Namibia truly remarkable is what it lacks. In other words, Namibia is the closest thing to Mars on Earth. So, you can correctly assume that most of the roads aren’t paved, but rather full of rocks, dirt and gravel. However, this shouldn’t stop you from road tripping through Namibia. The wide-open spaces and wild African game roaming the land will leave you in awe-inspired. I rented a trusty SUV with Hertz Car Rental, which was conveniently located next door to the Walvis Bay Airport. With two extra spare tires in the vehicle, I was set up for a successful and dune-filled road trip. 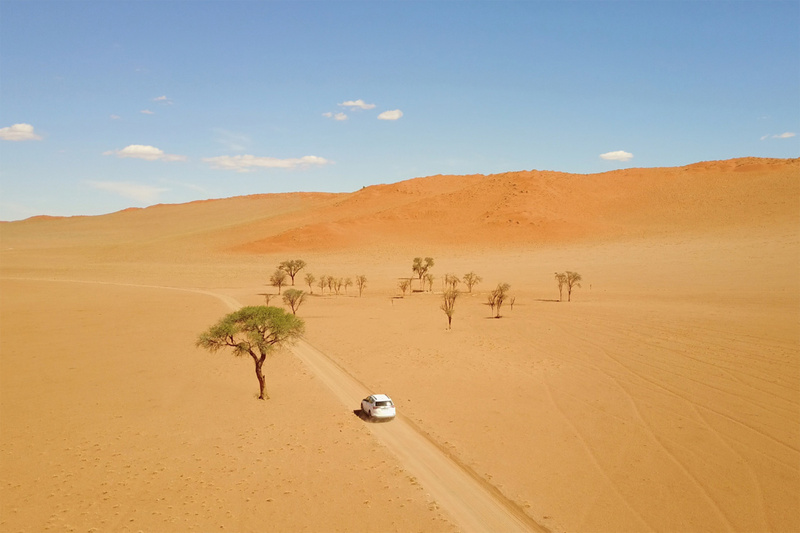 I went from Walvis Bay to Sossusvlei and Dead Vlei, then to the NamibRand Nature Reserve and Windhoek, where I returned my dusty SUV and flew back home. You can read more about my luxury Namibia road trip itinerary and the properties I stayed at here. If there’s one region to visit in Switzerland, the Jungfrau Region is arguably one of the best spots to go. It’s also the perfect destination to rent a car and hit the road, because the villages and famous landmarks are so close together. Again, I booked my rental car with Hertz, and in no time, and my bestie and I were exploring the sky high corners of the Swiss Alps. We visited Grindelwald, Murren, Lauterbrunnen and Wengen. 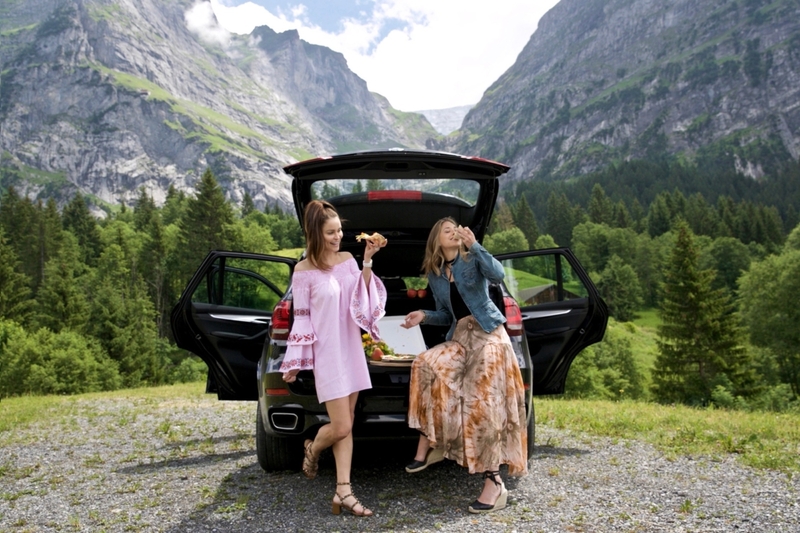 Our road trip consisted of many pit stops to explore, admire and appreciate the beauty of the mountain peaks around us – one of the many perks of navigating yourself. Staying in a chateau with Inspirato and renting a car with Hertz was the best decision I could have made while in Provence, France. Exploratory day trips kept us occupied the entire vacation. 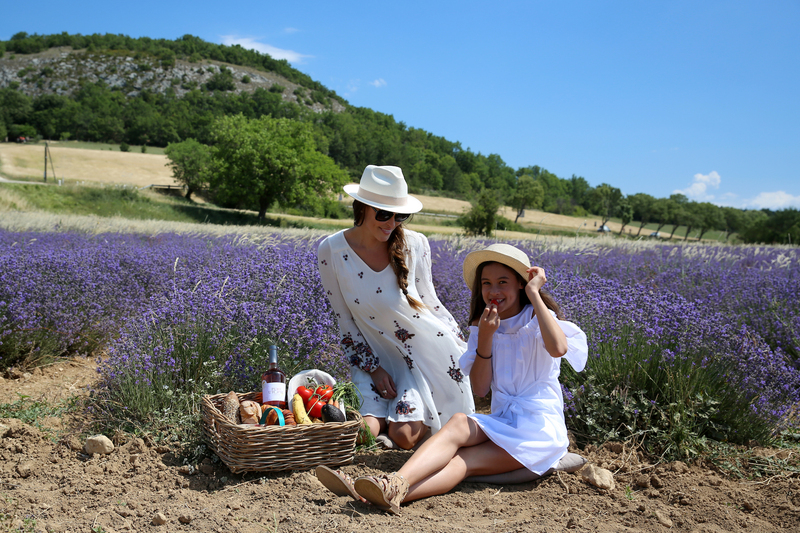 Our car took us to the most adorable crepe shops in the medieval village of Bonnieux, as well as to the picturesque lavender fields for a lunch picnic. We also drove to Gordes, France and took pictures in a massive sea of sunflowers and visited the village castle, once a fortress of protection in Gallo-Roman days. Your car is the most important element of a road trip, so you certainly can’t afford any unexpected surprises. Whether I’m traveling locally or internationally, I always use Hertz as my trusted car rental company. This holiday season, gift yourself travel perks by signing up for Hertz Gold Plus Rewards. It’s free to join and you can earn free car rentals with points that don’t expire. This is a sponsored post on behalf of Hertz but the opinions expressed in this article are, as always, my own.